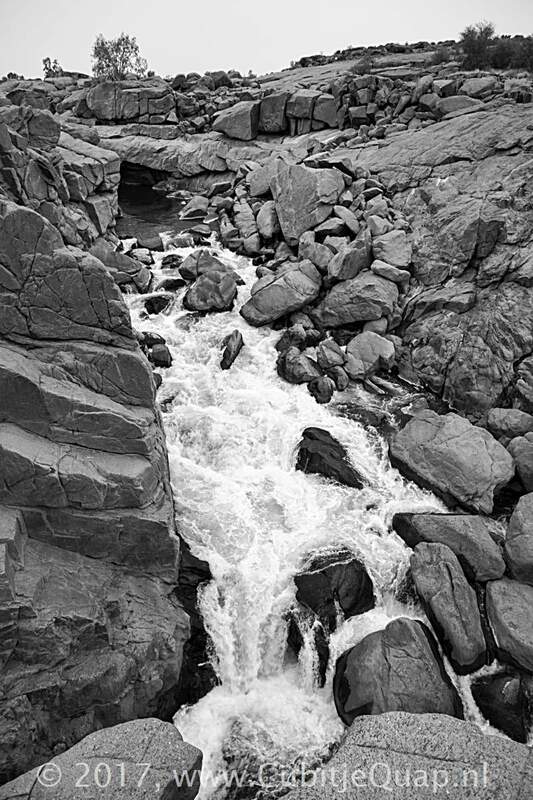 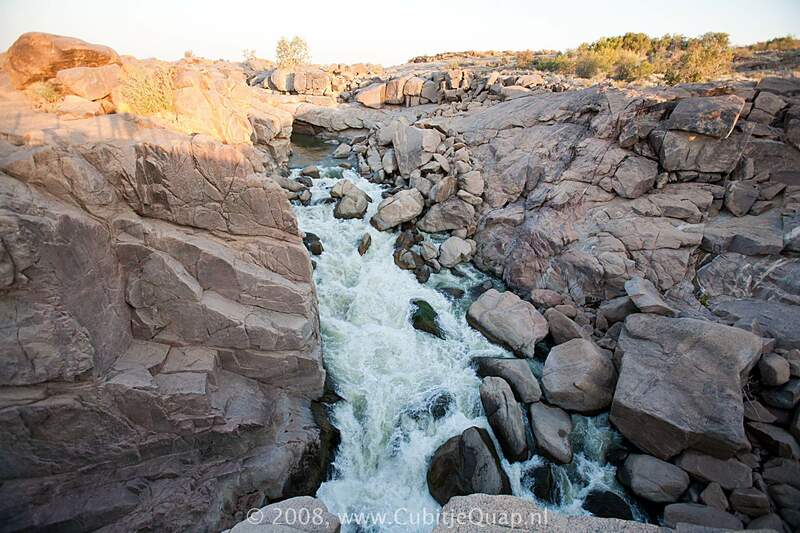 In 1954 the national Parks Board was asked to proclaim the Augrabies Falls a national park. 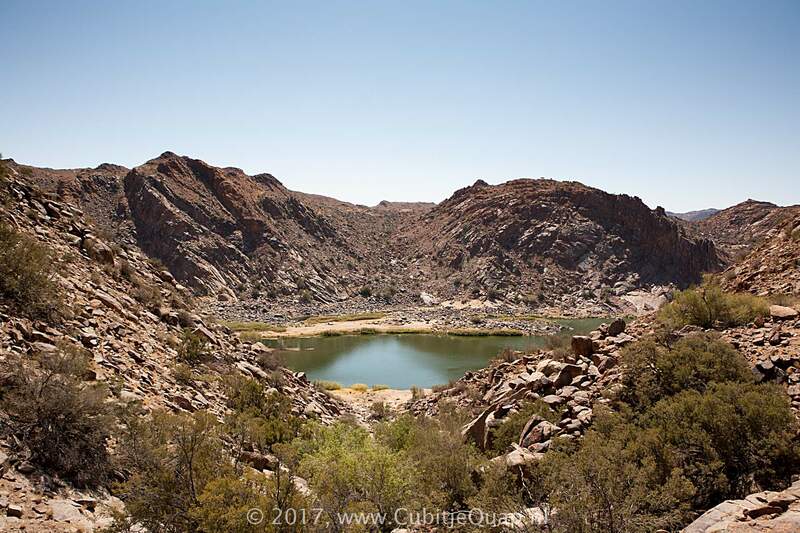 The request was in priciple approved in 1955, however, the department of water affairs objected to the proclamation and after a long period of negiotiations, the park was evenatually proclaimed in 1966. 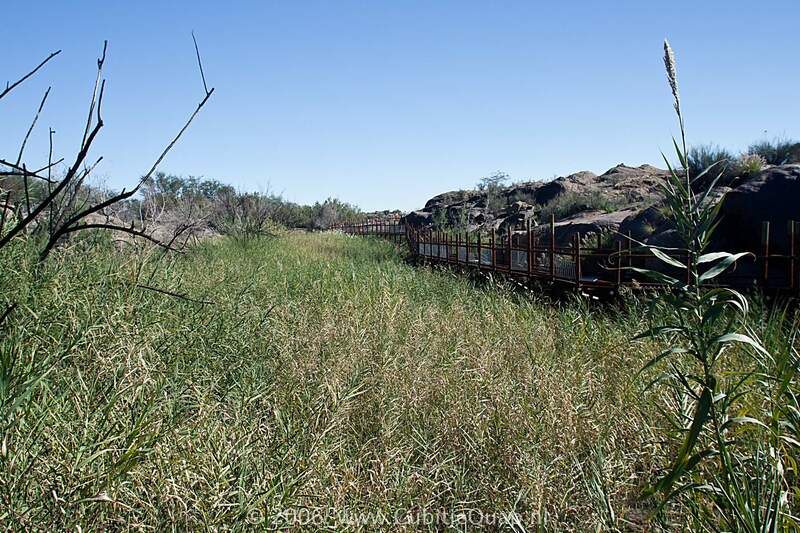 The park currently covers an ares of 55 hectares. 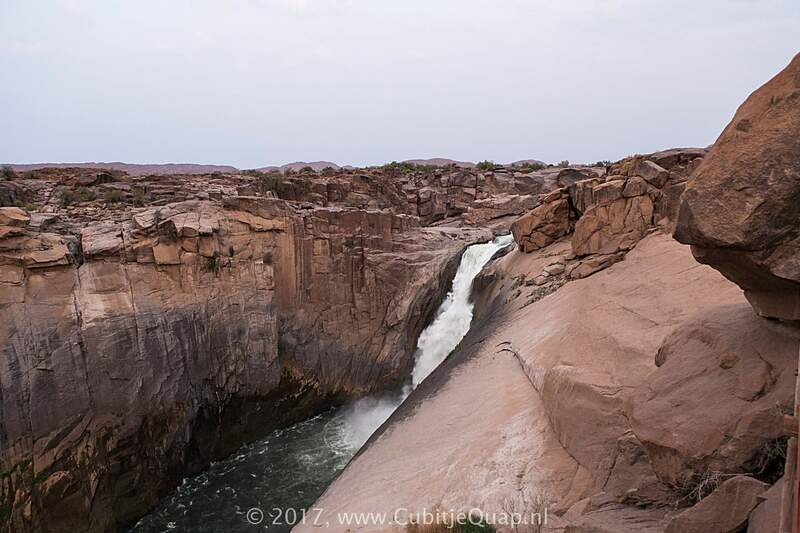 The original human inhabitants in the region, the Khoi, named Augrabies Falls 'Akurabies', which means 'the place of great noise'. 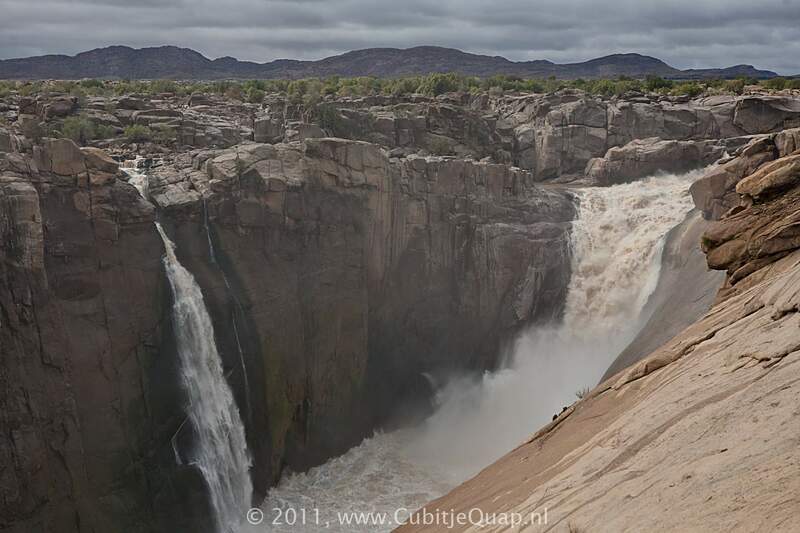 This name only fits to the Main Falls; the remainder of the 820 km² park is extremely quiet. 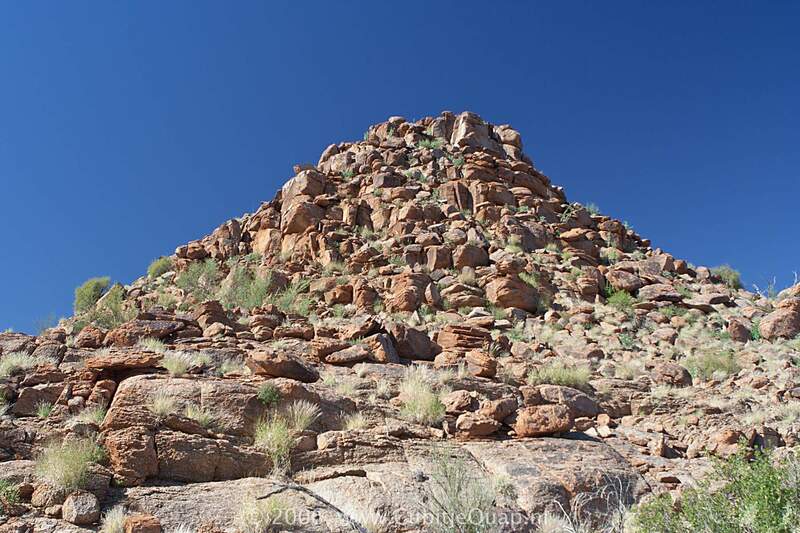 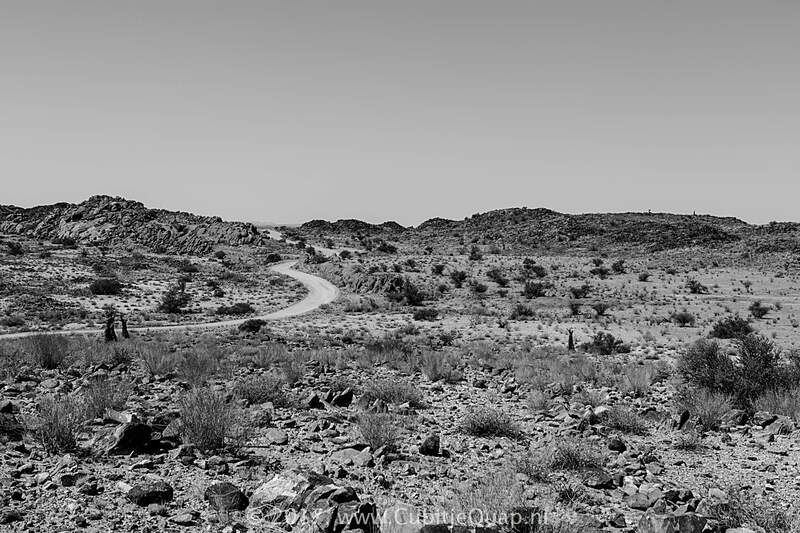 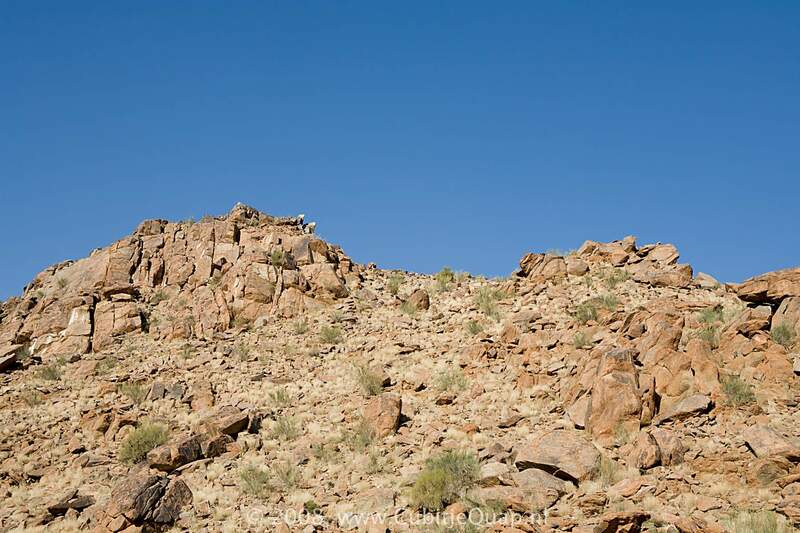 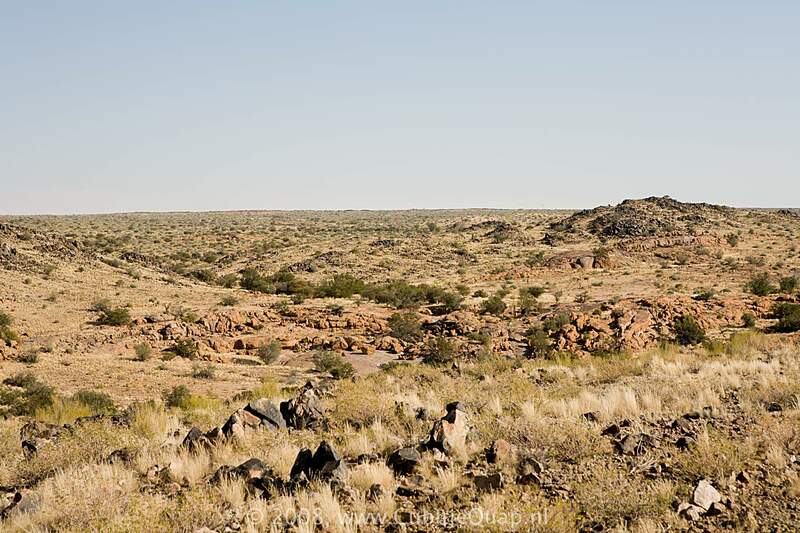 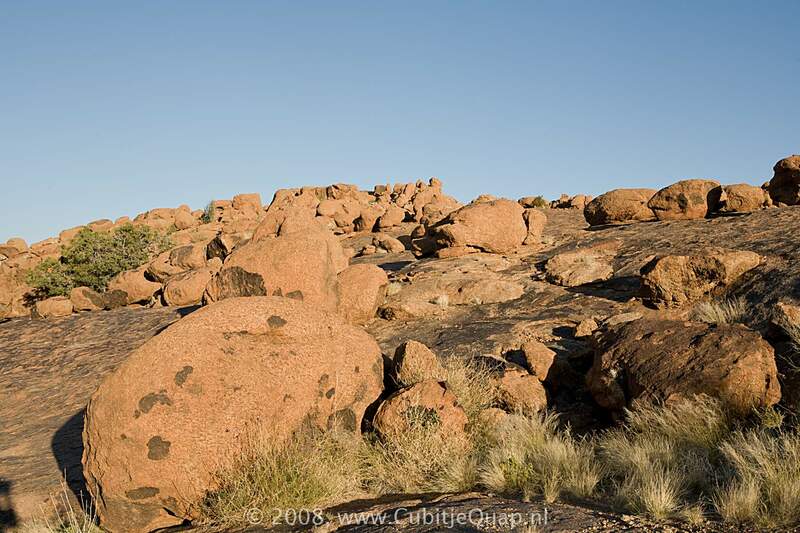 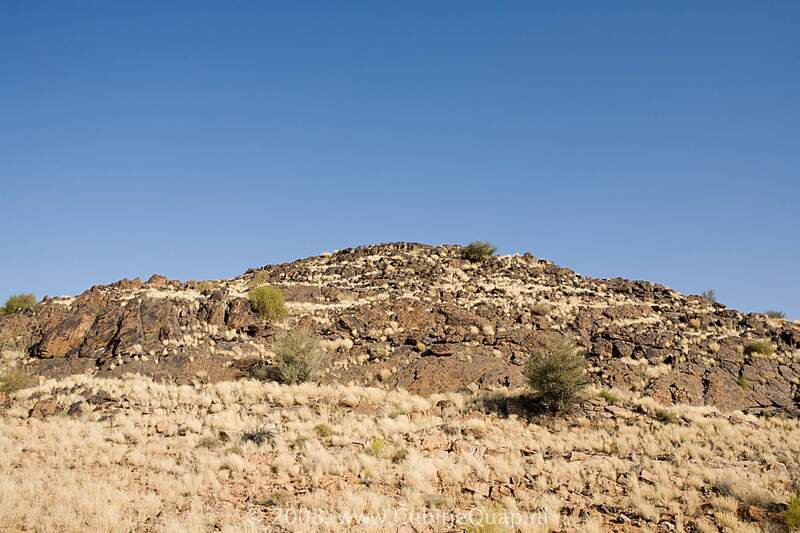 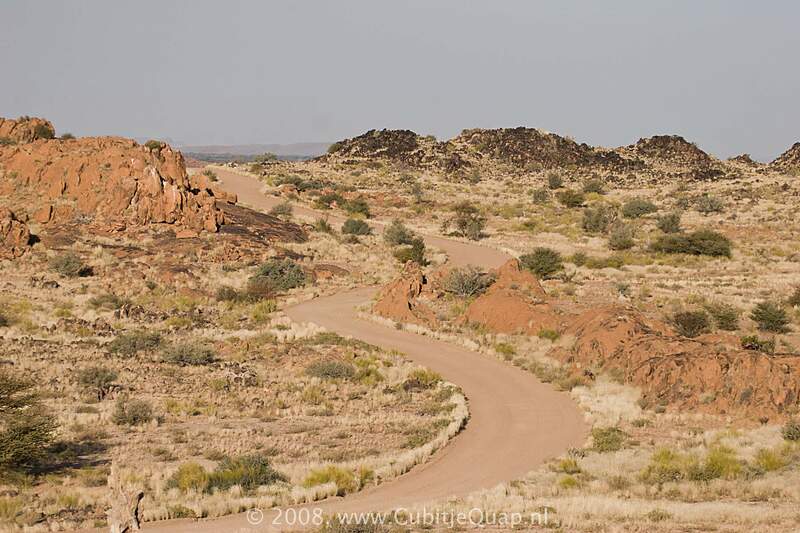 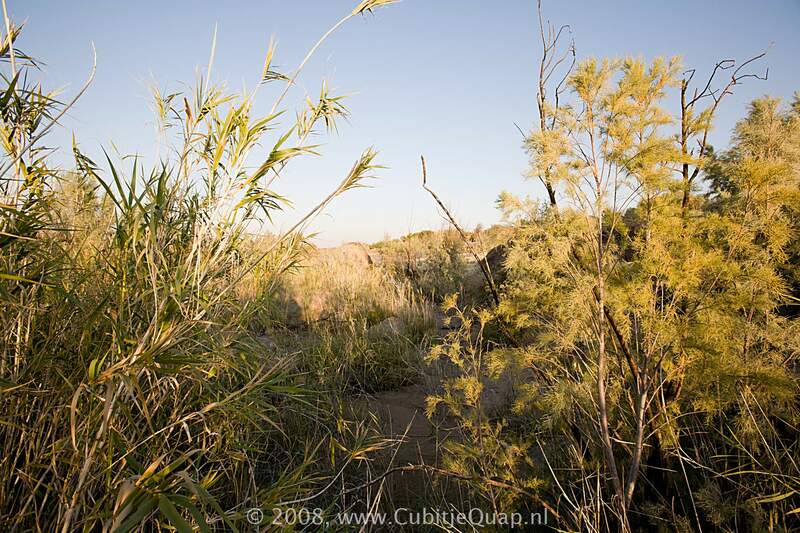 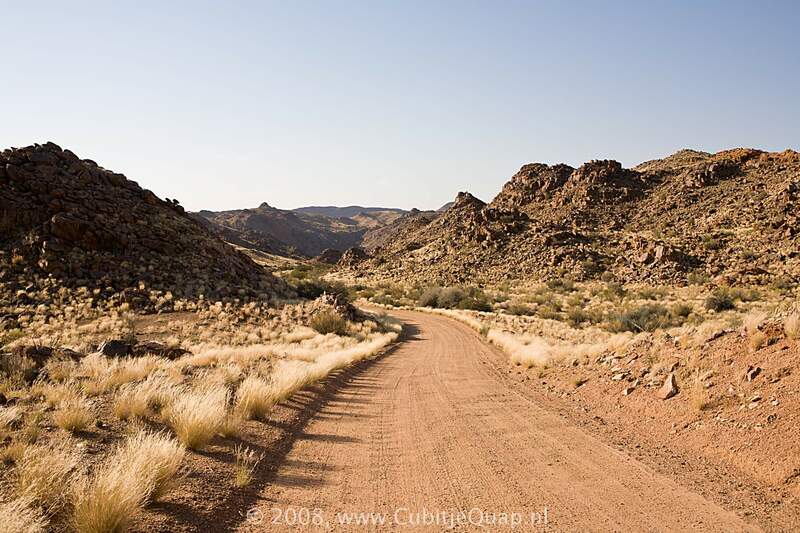 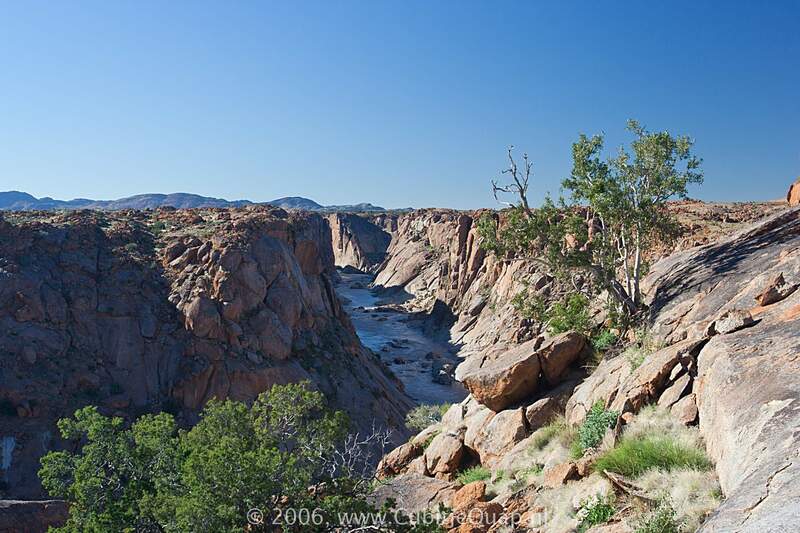 The geographic location makes Augrabies one of the least visited parks, but it's rocky desert environment makes it one of the most beautiful areas in Southern Africa. 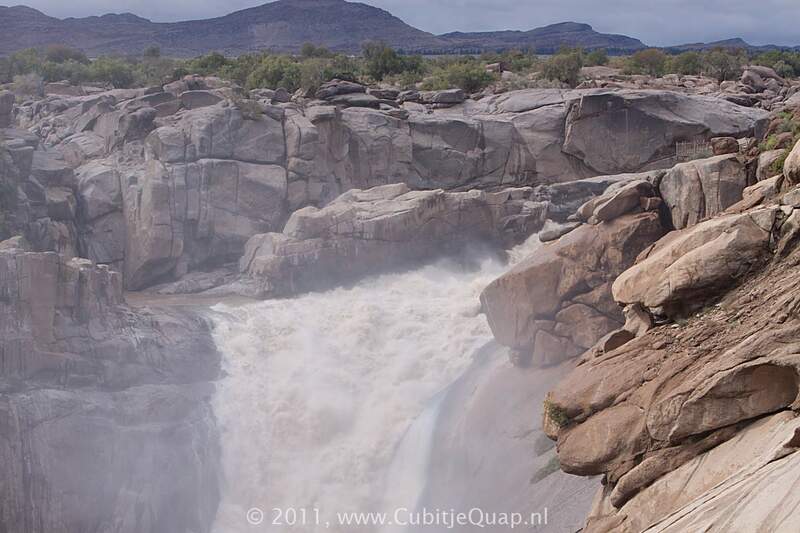 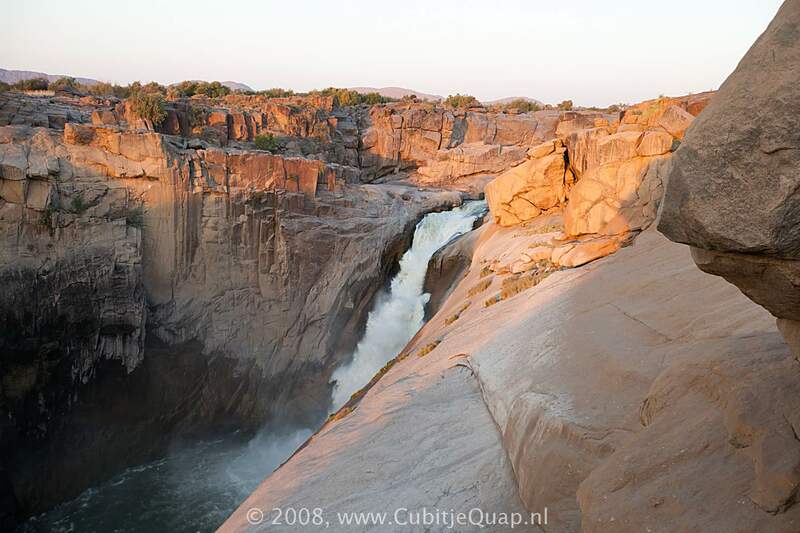 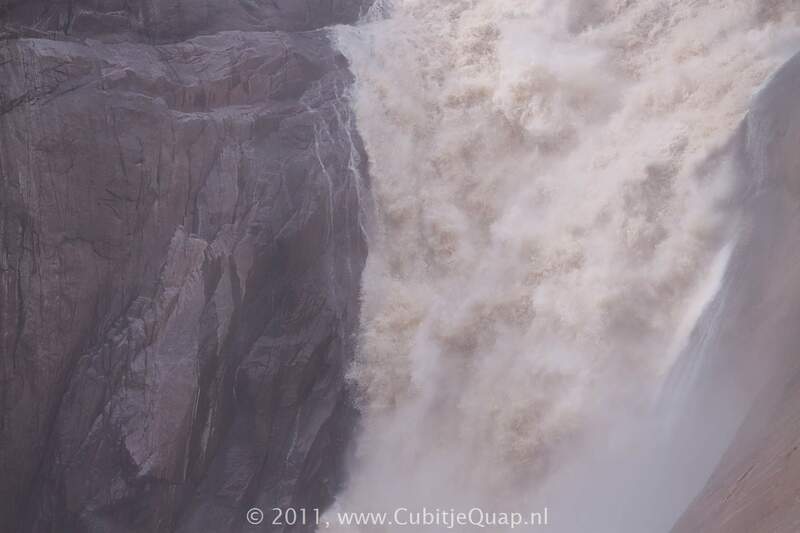 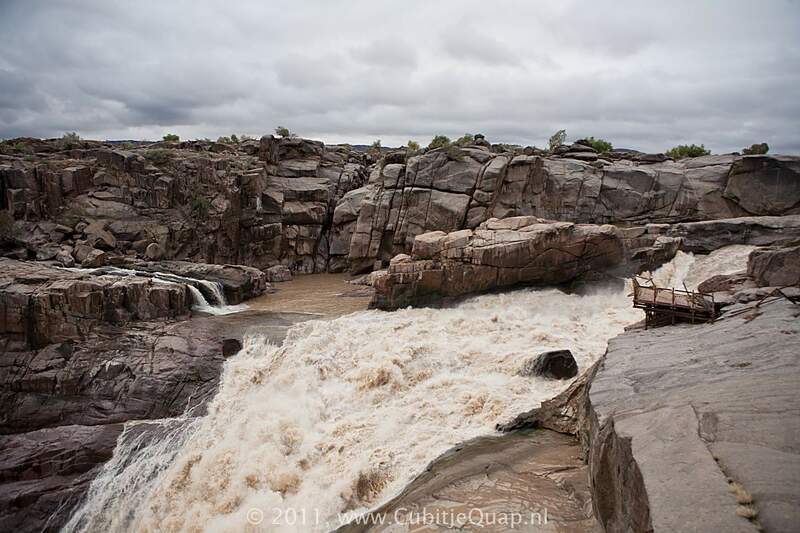 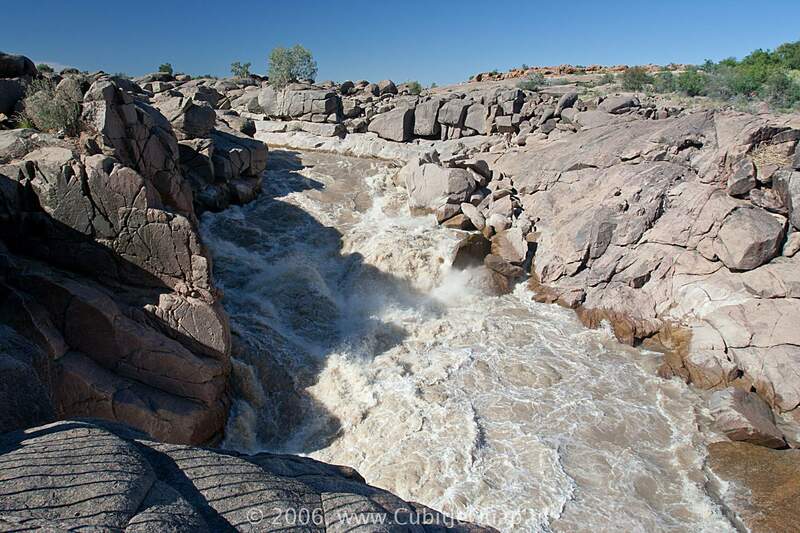 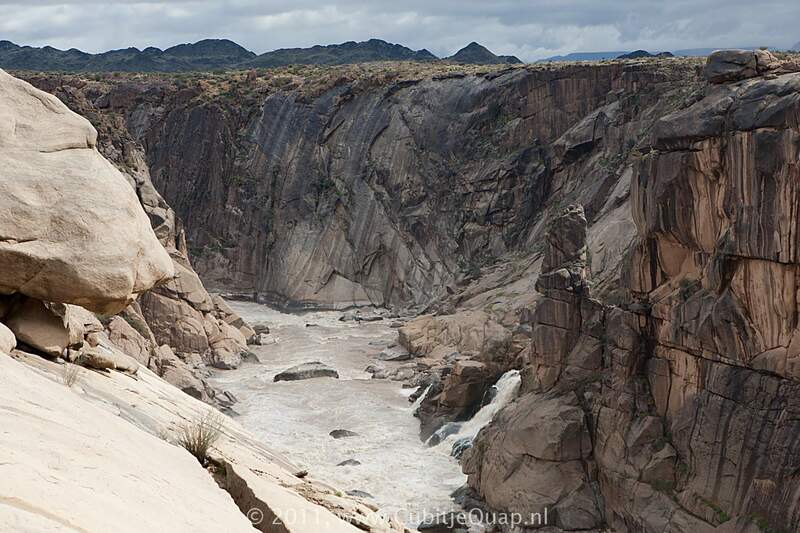 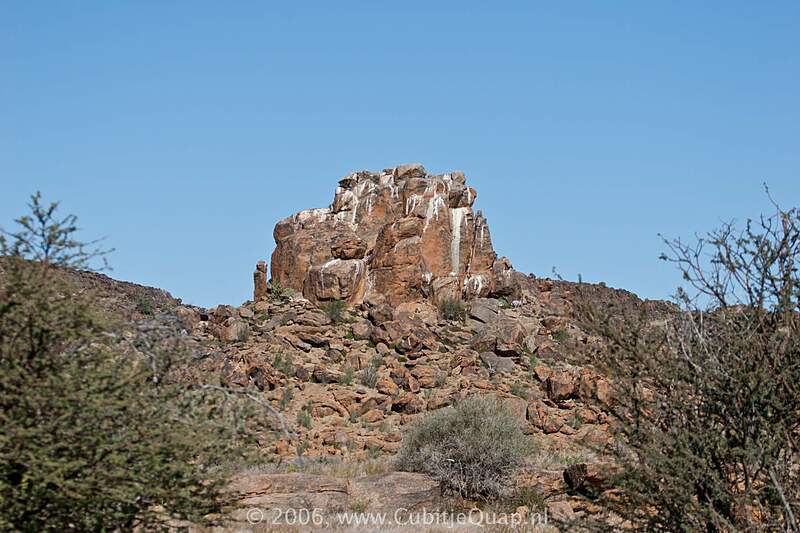 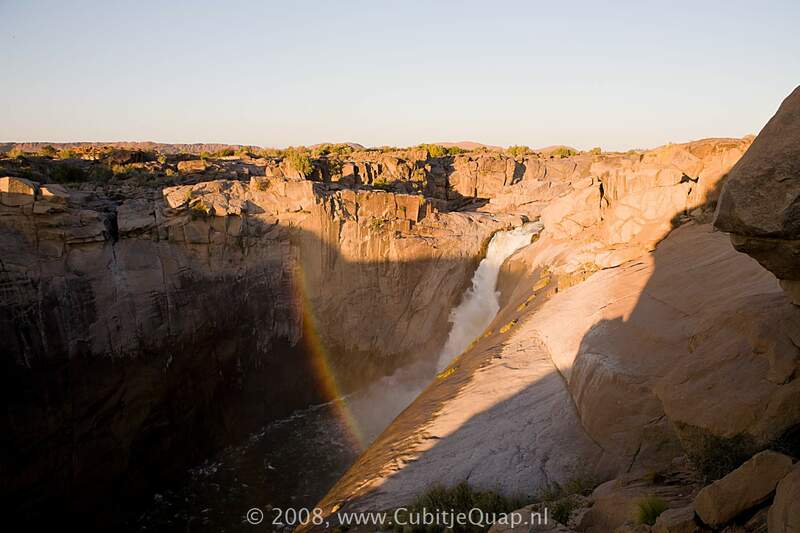 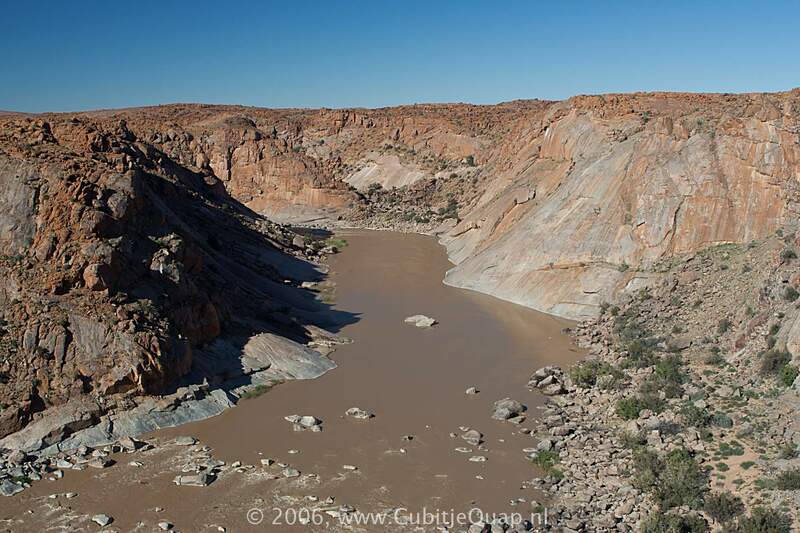 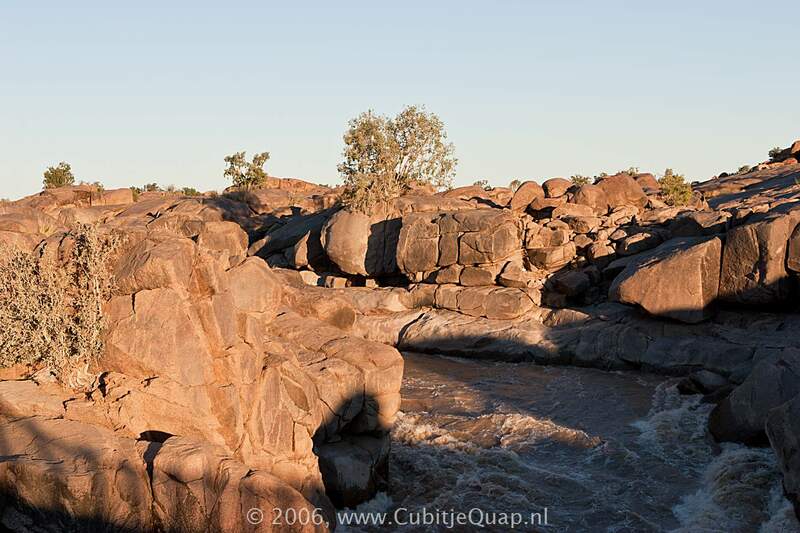 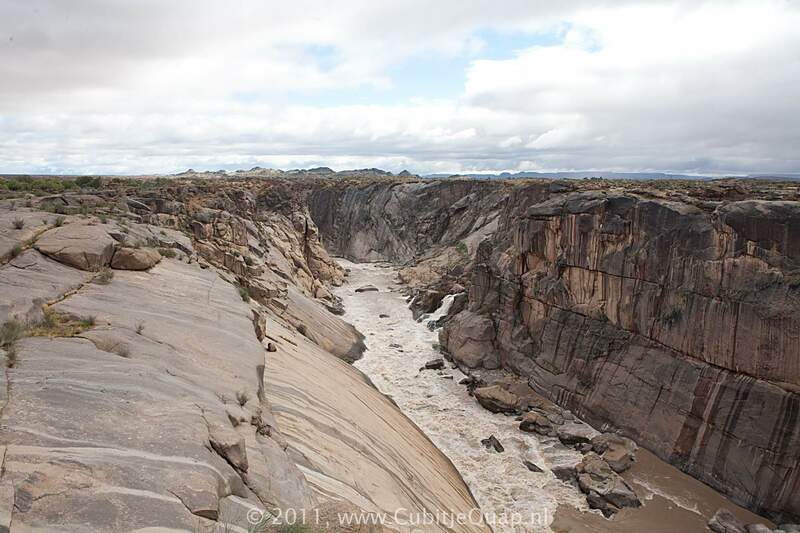 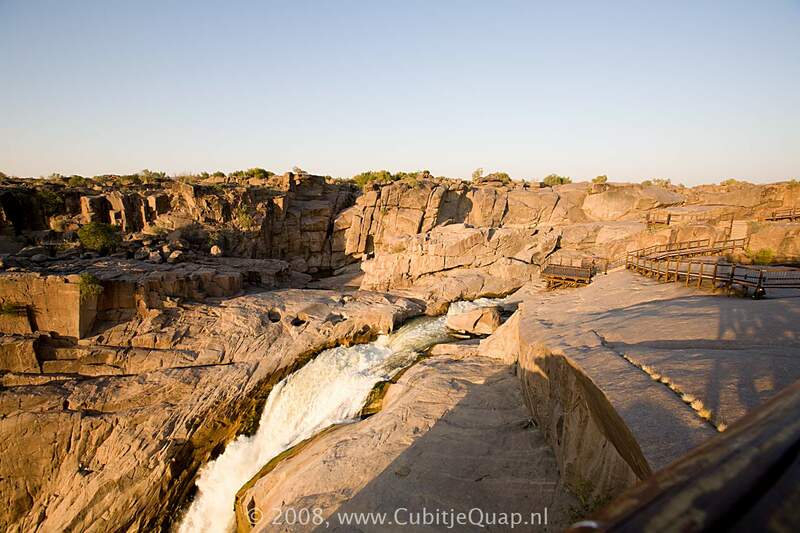 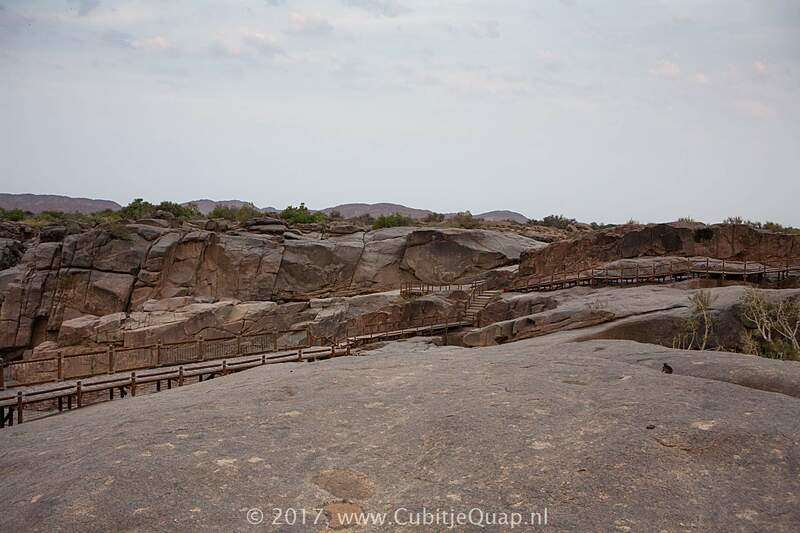 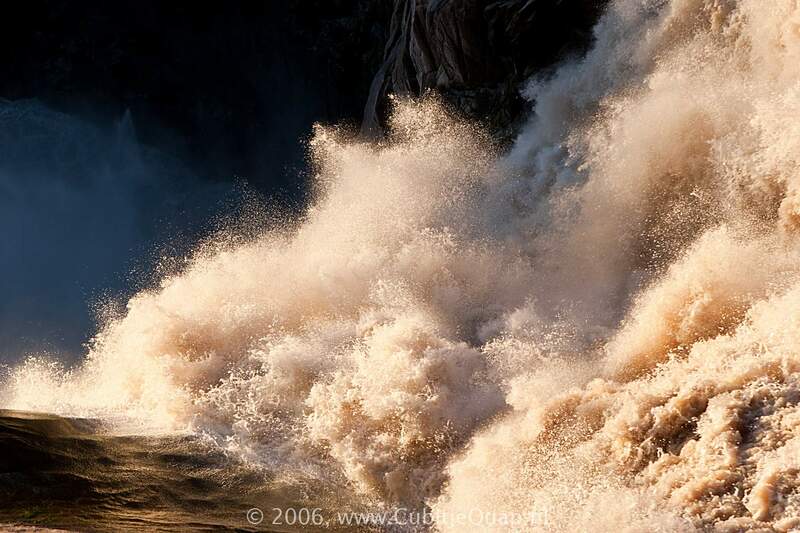 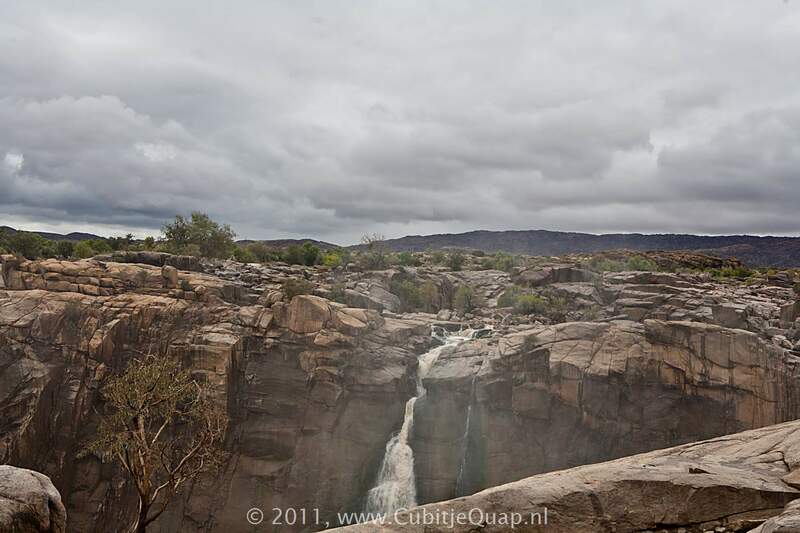 The gorge is about 200 metres deep, however, the Augrabies main Falls are only about 60 meters high. 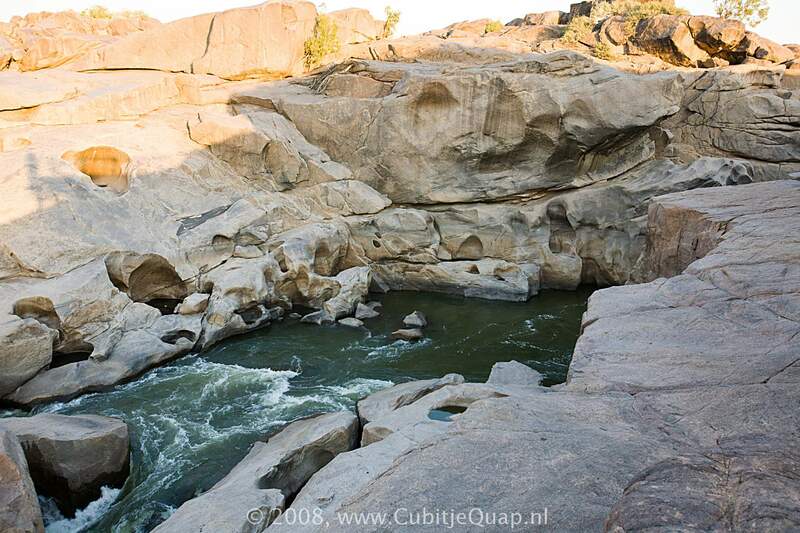 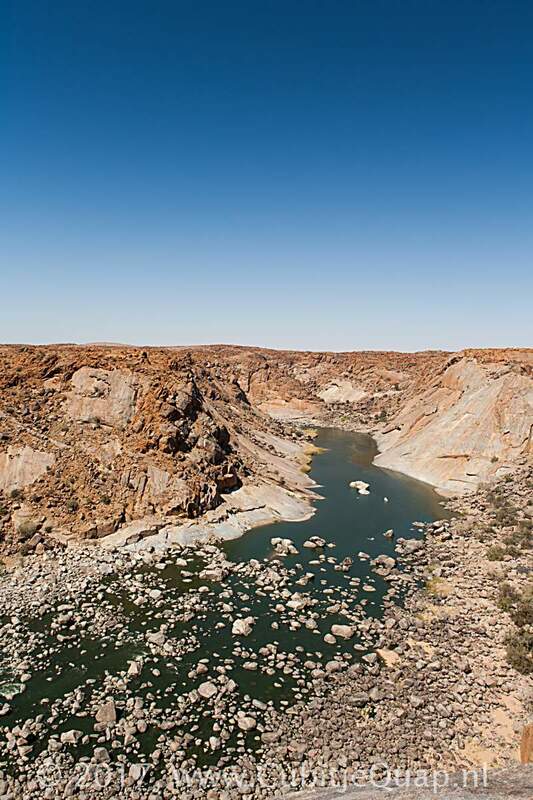 The gorge, created by the Orange River (in South-Africa often named 'Gariep'), is about 18 kilometers long and can be enjoyed from several viewpoints. 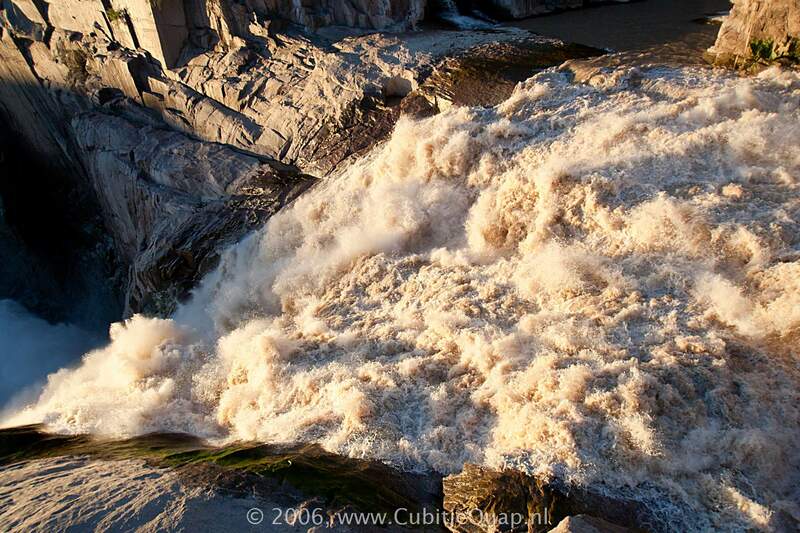 On average, some 313 m³ of water fall down every second through Main Falls; the highest volume measured is about 14.000 m³ per second. 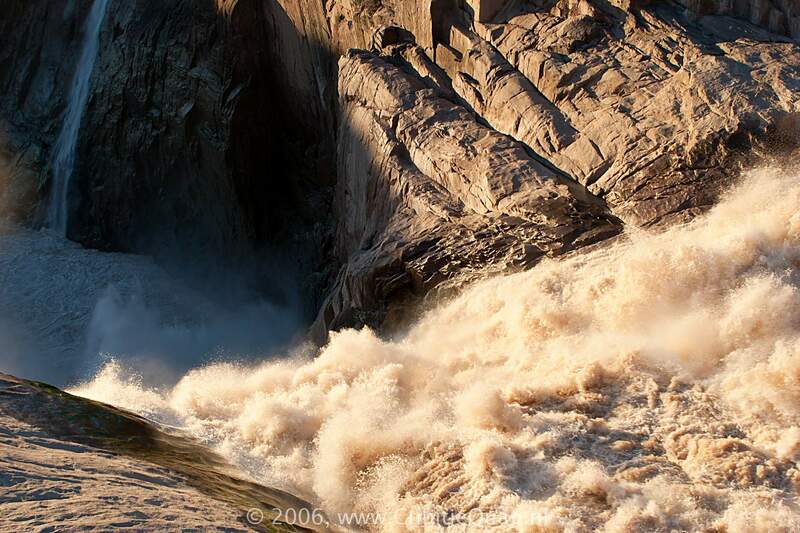 During heavy floods, the gorge can almost completely fill up with water.